Kentucky Fried Chicken Comes to Kenya | Hujambo! For all the niceties we have in Kenya (especially in Nairobi), we lack the presence of large Western chain stores and restaurant franchises. Honestly I couldn’t care less, but I remember it being a surprise when I first came to Kenya in 2007. In the United States at least, we’re used to being constantly bombarded with McDonald’s, Starbucks, and Walmart, etc, that I was so sure at least some of those familiar things would be here in Kenya. To my knowledge, this is the first Western chain which has come to Kenya. The doors opened in August, 2011, and everyone’s been talking about it. I happened to be at the Junction mall the other day so I snapped a picture of the (in)famous Colonel Sanders logo. I like mom & pop type or regional chains at most. The Walmart/McDonaldisation of Kenya is not something I’m eager to see. BTW, Wimpy is based in the UK so KFC isn’t the first Western fast food brand in Kenya. When I read this article, I thought to myself, ‘What is it doing there?’. Like Wairimu, I don’t look forward to having those giant food chains in Kenya. I kind of have the same opinion about them as I do Multinational and Transnational Corporations. Who’s interests do they represent? Those of the countries in which they have presence? I don’t think so. In theory,all these aspects of globalization are supposed to achieve homogeneity in the world and foster development for all but in practice it’s skewed to the disadvantage of those in need of development the most. You’re starting to sound like me… I think you’ve been in the US too long! The US is parasitic, eh? Maximum consumerism! 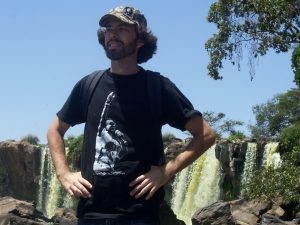 Do you have time to watch documentaries? You should try to get Super Size Me, The Corporation, Forks Over Knives… to name a few. More people need to open their eyes!! @ Alan & Chikita: So true. So KFC comes and kills of the KenChic’s etc or worse, causes them to raise prices to match the overpriced FRIED crap being sold at KFC. Seeing the damage all the big box stores have done to small enterprise but undercutting and essentially mass producing cheaper crap, it’s nothing to look forward to in our neck of the woods. I’m not much for protectionism but it sometimes has it’s place. Realistically though, that’s not going to happen so it’s up to the consumer to choose Mama Mboga and local businesses over MNCs. This is getting interesting! Now that you mentioned protectionism…Lately,in one of my classes, we’ve been discussing how the West, contrary to popular belief, used protectionism to foster development,yet today they are aggressively imposing neoliberal reforms on developing countries, and so in essence, they are ‘kicking away the ladder’ they used to climb up. Dude, I’ll look out for those documentaries. Hypocrisy is a big part of Western policies – unfortunate but true. Take for instance, the WTO’s insistence of no subsidies and opening markets, which then opens our markets to at times heavily subsidised products from the West killing off the local industries. You should watch ‘The End of Poverty?’ and ‘Life and Debt’, it’ll open your eyes in ways you almost wish it didn’t. Meanwhile, our exporters have to jump through all sorts of hurdles to get into the US or EU markets- although there’s beena bit of ‘progress’ with AGOA etc, it’s still an uphill battle. BTW, ever wonder where in England all that tea somes from? You’re right, Wairimu…I watched ‘Life and Debt’ a few weeks ago and Jamaica’s story is that of many developing countries. All Development theories-from Modernization to Neoliberalism-have one major undoing:Eurocentrism. 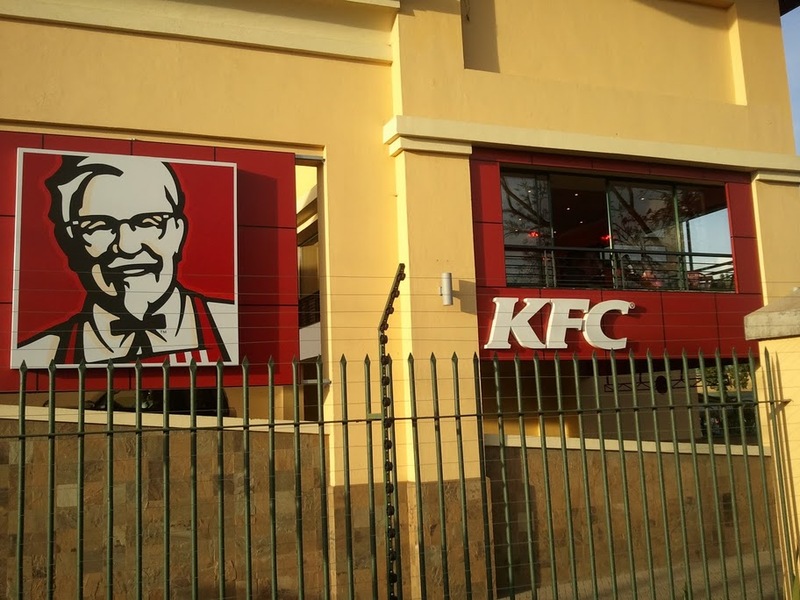 KFC was in Nairobi in the early 80s before Wimpy gave them a run for their money so it’s not “new” in Kenya. A bit disappointing; overpriced crappy food. Wow, I didn’t know that. Also, wtf happened to Wimpy? I had one of their burgers a few years ago and was so disgusted I never went back. :P KFC, on the other hand, is delicious!